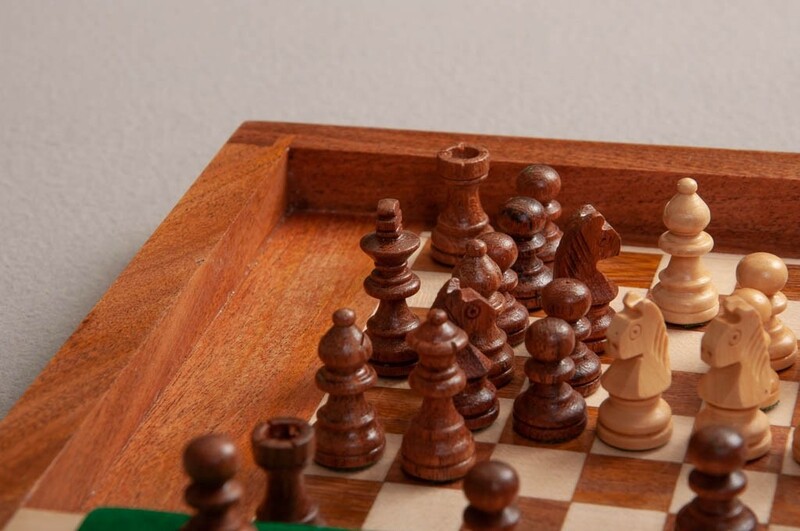 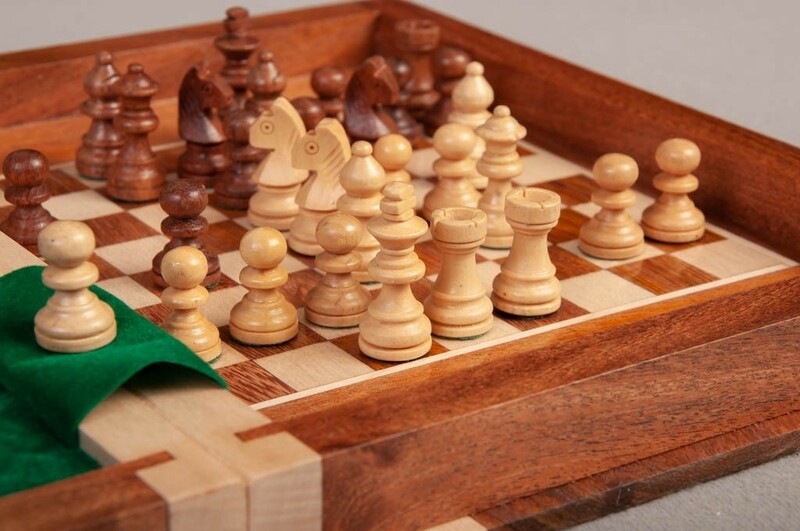 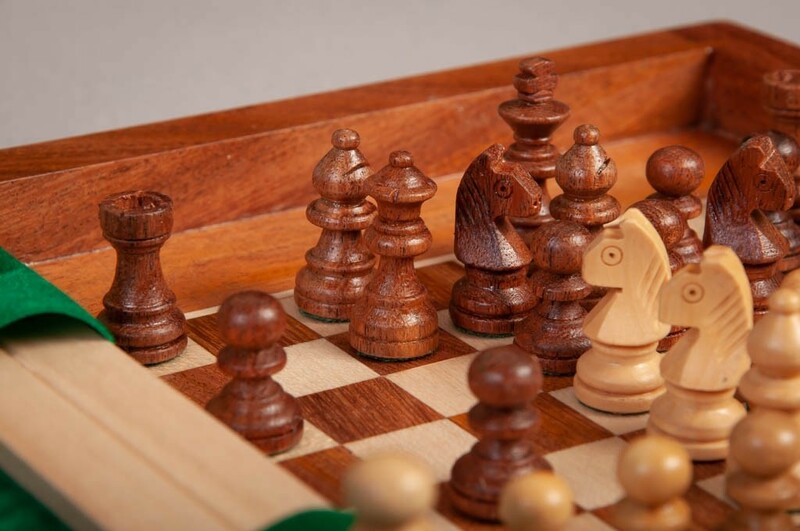 A beautiful handcrafted Book Shaped Magnetic Travel Chess Set from The House of Staunton! 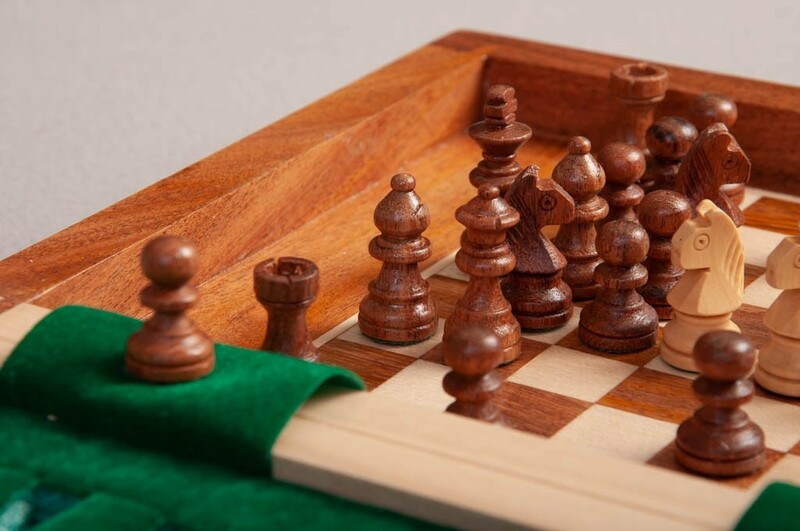 It is crafted from Sheesham & Maple and is the Strongest Magnetic Travel Set on the Market - You can turn the board upside down and the pieces will not move! 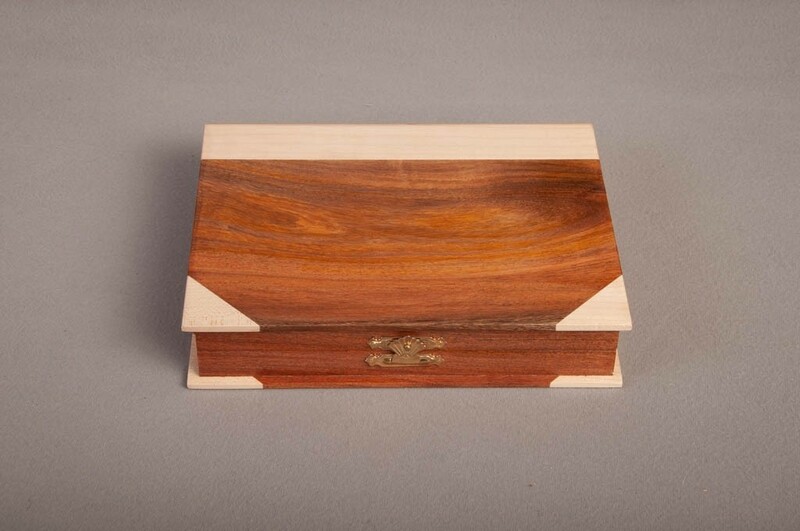 It features a brass clasp that holds the book securely shut. 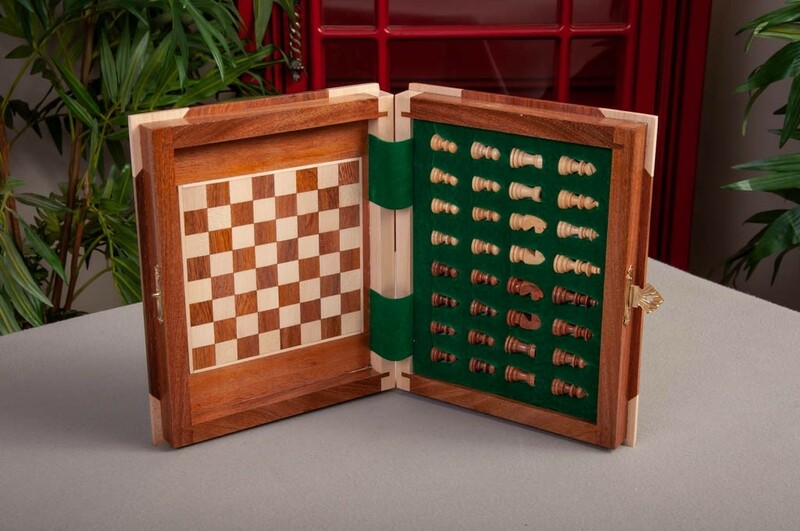 When opened, the book reveals a magnetic Chessboard and Chessmen with luxurious green foam fitted storage section. 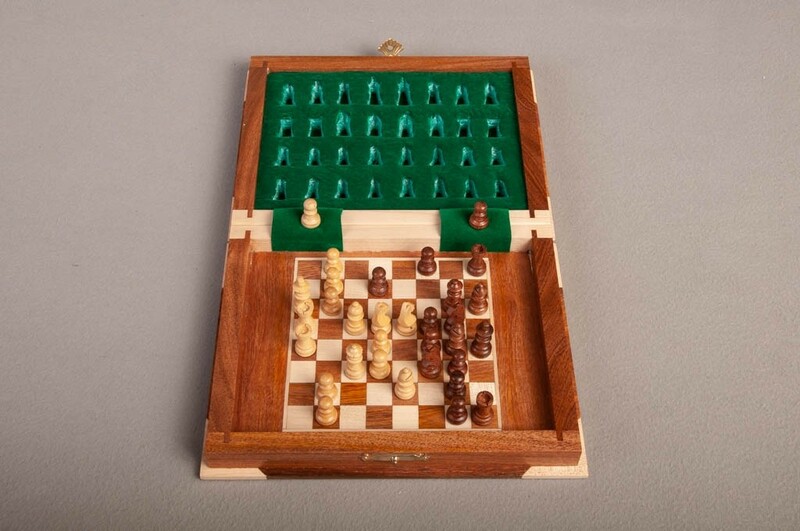 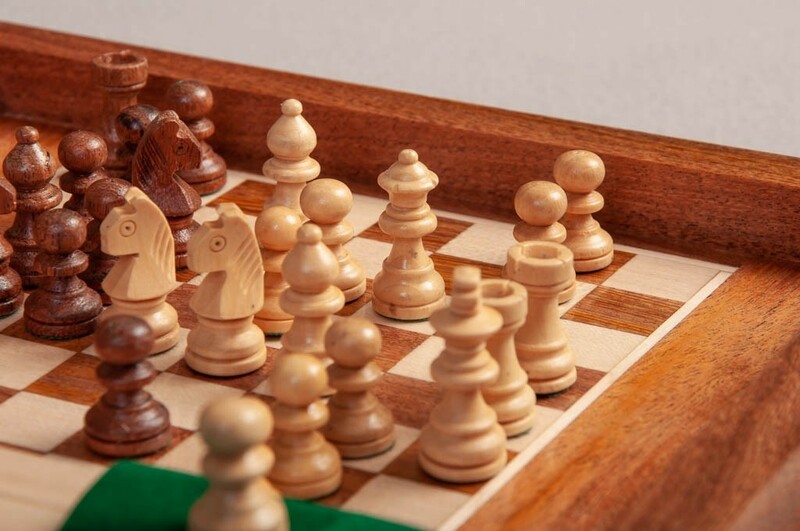 The travel chess set is 7.25" wide x 9.0" tall by 2.0" thick,. 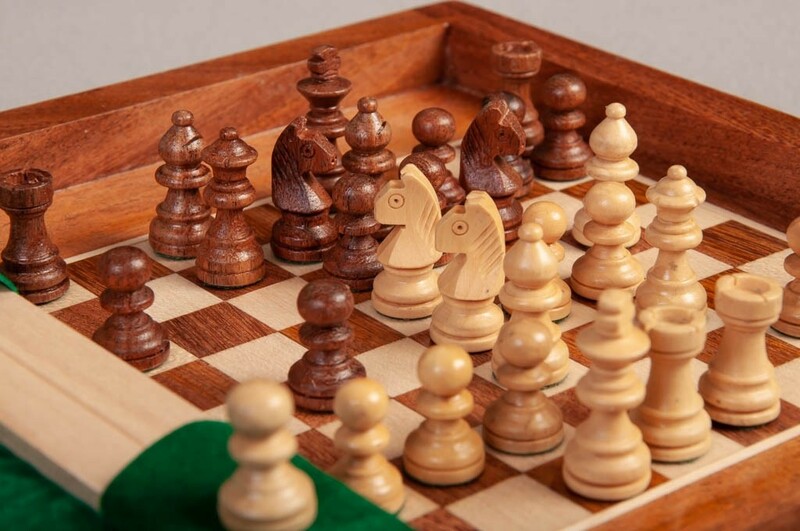 The chessboard square size is 5/8 in. 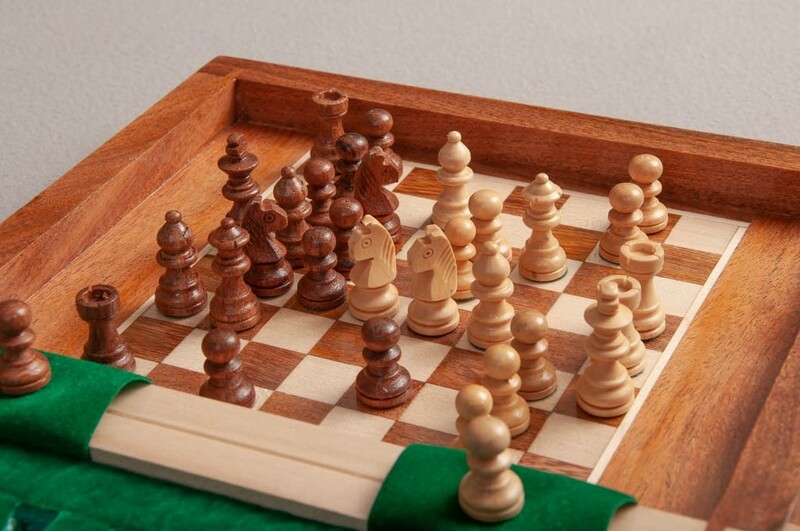 along with a King height of 1 in. 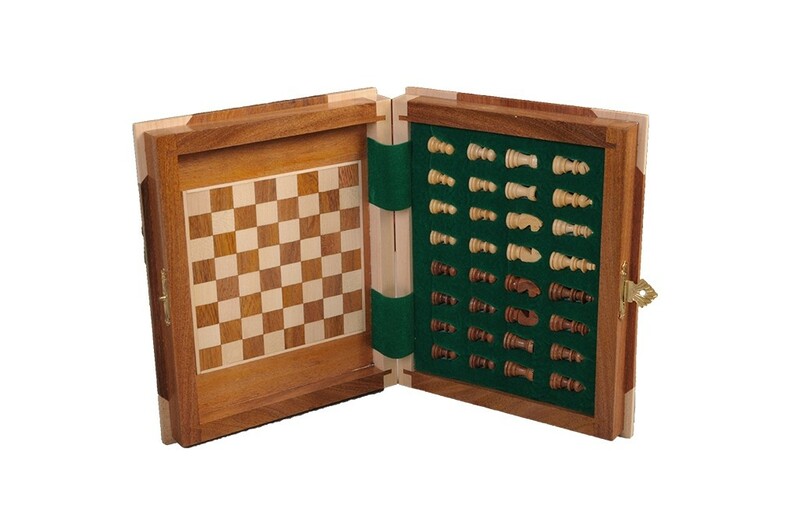 This travel set has an overall footprint of 14.5 inches when opened flat.